Engagement, social connection and more personalised technology are key themes and trends in terms of customer engagement. 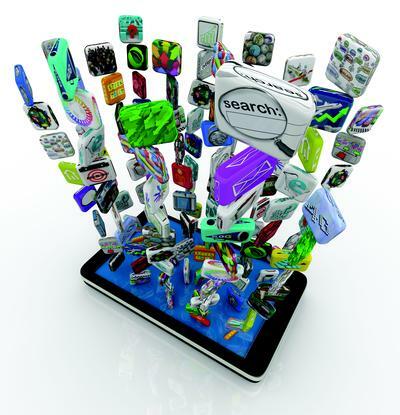 They’re also driving mobile marketing as the new frontier of the digital landscape. Nielsen’s director of Media Industry Group, John Price, spoke at the CeBIT conference in Sydney on what drives consumer’s interaction with brands via smartphones and tablet technology. The research company’s latest Australian connected consumers report revealed 12 million Australians spent 35 hours accessing content, whether via their browser or in an application, in March alone. For people owning a tablet, 7 million accessed content in March for 25 hours. For brands wanting to capitalise on this phenomenal growth in mobile usage, the pressure is on to adopt smarter ways to grow consumer interactions. Below, we present five key lessons from Price on smartening up your mobile engagement strategy. According to Nielsen’s report, half of all time spent on smartphones was either on social networking sites or in gaming. As a result, Price stressed brands must be aware that any interactions with customers is competing with these for their attention. Nielsen found 11.5 million Australians in March accessed a social network of some kind on their smartphone, and spent 12.5 hours doing it. “Ninety per cent of everyone who has a connected smartphone or tablet was using it to access social networking throughout the month,” Price said. This means businesses and organisations need to create communities that they want their customers connect with. A recurring theme Price noticed when conducting the study was the concept of empowerment, or giving power back to the consumer. He claimed the successful apps were those giving the consumer or user more power over their experience, such as more power over dating in the case of Tinder, exercise and sleeping habits via a FitBit, or music selection and curation with Pandora. “With technology, there is an opportunity to give the power back to your consumers and therefore get them to be more engaged with your brand and how they interact,” he said. Price said Nielsen’s report also revealed the importance of the context in terms of where and when consumers are interacting with brands on smartphones and tablets. Interestingly, the report revealed 81 per cent of multi-screeners were accessing something relevant on their mobile devices to what they are watching on the big screen. Another trend Price highlighted was ‘showrooming,’ when consumers go to a retail store and pull out their phone and take a photo or they look for a cheaper price, much to the frustration of retailers. According to Price, if you’re doing at least one of these things really well, you’re on the right track. As wearables become mainstream, Price also predicted the mobile landscape will undergo further rapid change in the way brands interact with customers.